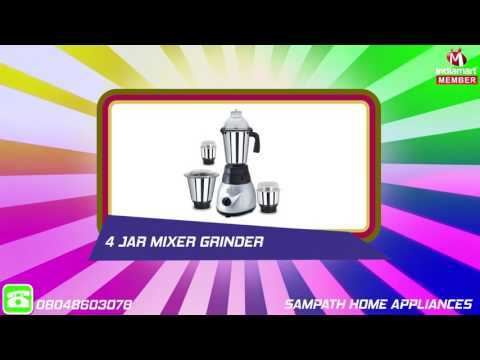 Established in the year 2004, Sampath Home Appliances is one of the eminent manufacturer and exporter entities engaged in delivering a wide collection of Motor and Grinder such as Two Jar Mixer Grinders, Three Jar Mixer Grinders, Four Jar Mixer Grinders, Five Jar Mixer Grinder and Mixer Grinder Motor. Designed and developed with superiority, we assure that only superior grade basic material along with modern amenities is utilized in their production procedure. Also, the final range is well tested before final dispatch at the premises of our patrons. These provided appliances are easy to use and are known for their extremely low maintenance. We also offer these products in a diversity of sizes and model provisions to meet our clients%u2019 specific demands.